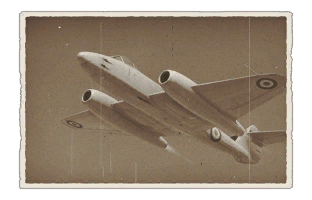 The Meteor F Mk 4 type G.41F is a Rank V British jet fighter with a battle rating of 8.0 (AB/RB/SB). 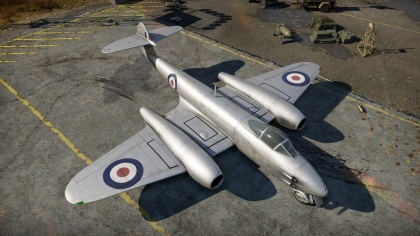 This aircraft has been in the game during the Open Beta Test prior to Update 1.29. Easy to fly missing half a wing. Rips easily if pulled hard at high speeds. This page was last edited on 9 February 2019, at 18:16.